To provide a platform for academicians, policy makers and practitioners from business & industry to share their research work and learnings. 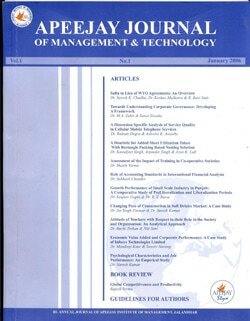 To encourage research in the field of management, economics and information technology. To disseminate information on the latest developments in the area of management, information technology and related disciplines. To enhance managerial and decision making skills by making value addition to the existing corpse of knowledge. To provide a strong industry-academia interface for solving the problems faced by the industry.